After a property loss: What happens next? When you file a claim for a fire loss, wind damage, water damage or flood, your insurance company will dispatch an insurance claim representative who will be either an independent adjuster or a staff adjuster. 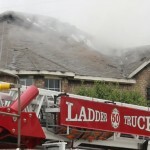 An independent adjuster represents multiple insurance companies, and a staff adjuster works only for one company. Even though a company adjuster is sent to review your property damage insurance claim, the full responsibility of preparing and proving the claim falls on the insured, not the insurance company. Without assistance from a licensed public adjuster, some coverage may be overlooked, structural and contents damages could be missed, and the claim could be drawn out, all leading to a reduction in the final settlement. The company adjuster is primarily concerned with making sure that the insurance company does not pay any more than they have to. Immediate site inspection to assess damages. 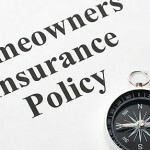 Carefully analyze the insurance policy to determine the insured’s rights and responsibilities. Outline with the insured and/or their advisors a recovery plan. Report the claim to the insurance carrier and agent. Request advances, if necessary, both verbally and in writing. Meet with insurance company representatives to review the scope of damages. Provide building estimators to document the property loss. 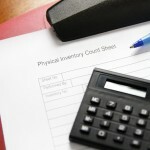 Provide contents estimators to compile a detailed inventory of all personal property, including backup documentation. Prepare business interruption claim including extra expense costs and projected recovery schedules. Review claim with insured and/or advisors. Submit documented claim to insurance company. We have an ongoing dialogue with our clients during the adjustment process. We expedite the settlement, with final approval by the insured. Preparation of claim settlement documents, and seeing the claim through to final payment. By keeping the claim process moving forward, and carefully documenting the details and appraising the damage, Michigan Fire Claims public adjusters are able to successfully settle insurance claims for the maximum amount owed under the policy in the shortest period of time. 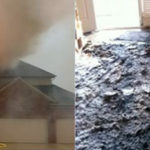 Michigan Fire Claims public adjusters will be with you every step of the way to be your advocate, answer all of your questions, and reduce your anxieties and concerns during a very emotional time. 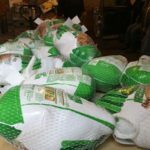 In addition to your financial recovery, we can also recommend companies that you will need for mitigation, restoration, and reconstruction, however, we cannot hire such companies. Michigan Fire Claims, Inc.’s public adjusters, will assist you in any way possible to help you steer clear of all the pitfalls insurance companies are counting on. We work for you! Contact us today to find out more about our public adjuster services.